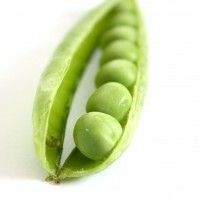 The Pareto Principle is named after an Italian economist Vilfredo Pareto who noticed that 80% of the peas which he grew in his garden came from about 20% of the pods. He also found that, in most countries, about 20% of the population owns 80% of the land. Those observations led to what is known as the “Pareto Principle”, also known as the “80-20 Rule”. 80% of a company’s profits typically come from about 20% of its customers. 80% of a company’s complaints typically come from about 20% of its customers. 80% of a company’s sales are typically made by about 20% of its sales staff. 80% of a company’s sales typically come from about 20% of its products. Its main relevance to inventory management is that most of the benefit of efforts at improvement can be obtained from concentrating on a small proportion of items (referred to as Category A and B items). Those items account for most of the sales value (typically about 80 to 90%) and most of the investment in inventory. How well the Category A and B items are managed affects the overall investment in inventory to a far greater extent than how the remainder of the items (Category C) are handled. Category C items are, typically, about 80% of the items. Consequently, it is best for most of the effort to be put into managing Category A and B items. In order to enable purchasing officers to do that, it is desirable for the management of Category C items to be largely automated. This does, however, necessitate careful selection of computer algorithms for handling Category C items. Appropriate algorithms will be described in later blog posts. This can be done using a report generator. For each item, calculate an estimate of the demand rate if one is not already available. It should, preferably, be done using the entire demand history or sales history. This will ensure that the estimate is not zero unless the item has never been sold. Any technique based on exponential smoothing satisfies this requirement. Alternatively, divide the total sales of the item by the amount of time since the item was first received into stock. The demand rate estimate should not be zero under any circumstances. If the item is new and has not yet started to sell then, if an initial demand rate estimate has been entered into the computer, that estimate should be used. If the demand rate estimate is zero then change it to, say, 0.3 units per year (about one unit per three years). Multiply the estimated demand per year by the unit cost (e.g. the average cost price) to get an annual sales value. A demand rate estimate of zero for an item would result in the item being in Category C regardless of how expensive it is. Expensive items should be in Category A even if they are slow moving. New items which have not yet started moving should not be in Category C unless the forecast annual sales value is low. A minimum demand rate estimate of, say, 0.3 units per year will, to some extent, deal with the problems mentioned in this paragraph. The simplest method of carrying out the ABC analysis involves starting with an educated guess as to the appropriate boundaries (in terms of annual sales value) between Categories A and B and between Categories B and C. Then find the total annual sales value for all items whose annual sales value exceeds that value and also find the number of items involved. Adjust the boundary and recalculate the annual sales value and number of items above that boundary. Repeat the adjustment and recalculation until appropriate boundaries are found. Several tentative boundaries can be tried simultaneously. Although this approach might involve several computer runs, that does not matter much because the ABC analysis only needs to be done on rare occasions. Between those occasions, the boundaries should be adjusted on the basis of changes in the overall annual sales value. Aim to have about 67% of the annual sales value in Category A, about 23% in Category B and about 10% in Category C. The percentages of items in Categories A, B and C will probably be roughly 10%, 20% and 70% respectively. There is some flexibility with regard to these percentages. It is not necessary to store the category for each item because it can be determined from the sales rate and the unit cost. If this is done then don’t forget to ensure that the sales rate is treated as being at least, say, 0.3 per annum. Rather than storing ABC classifications, it is better to determine them on the basis of the boundaries whenever they are to be used. The reason for this is that demand rates can change, especially for new items. If this is done then the same action as mentioned above should be taken to ensure that there are no zero demand rate estimates. Good service can be provided at little cost for Category C items. Doing so enables you to concentrate on the Category A items. For those items, providing good service is costly unless they are managed very well and ordered promptly when they fall below their minimum levels. How well the minimum and “maximum” levels are set for Category A items has a major impact on the overall investment in inventory and on overall customer service. When Category A items are received, they need to be shelved promptly. Data relating to Category A items needs to be accurate whereas minor inaccuracies in data relating to Category C items are not likely to have much effect. ABC classification enables the use of a simple, roughly optimal, method of reordering and facilitates efficient use of the time of purchasing staff. Stocktaking on the basis of ABC classification facilitates achievement of accuracy where it is most needed and also greatly reduces labour costs. The improved accuracy is likely to make it possible the do the end of financial year stocktaking (physical inventory) for only a small number of items using a technique known as “statistical inventory sampling”. Later posts will deal with use of ABC classification in purchasing and stocktaking. Open source software is available for ABC analysis. For details, click on the “SIMS” tab in the menu.